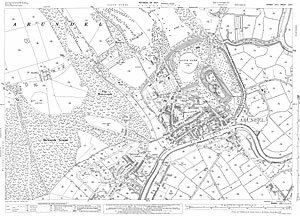 Showing the area from Swanbourne Lake in the north to the sewage works by Tortington Iron Works in the south, and from the White Swan pub in the west to beyond Arundel Castle in the east. 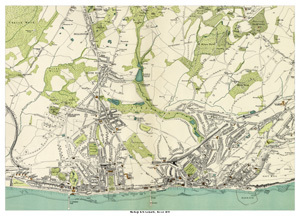 Showing the area from Withdean in the north to the coast in the south, and from Sackville Road in the west to Lewes Crescent in the east. 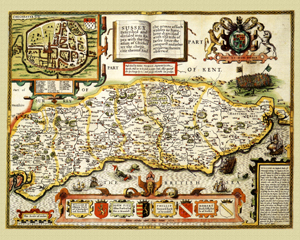 to the Infectious Diseases Hospital in the north, and from the West Gate in the west to Hornet House in the east. 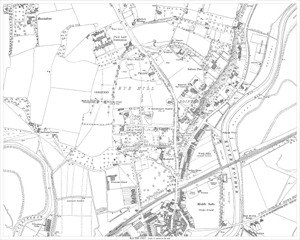 to All Saint's Cemetery in the north, and from Roundabout House pub in the west to Portfield Windmill in the east. 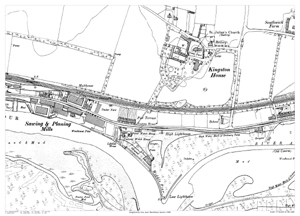 Showing the area from St. Peter's Church in the south, to Oaklands in the north, and from Ellerslie in the west to Spitalfield Farm in the east. 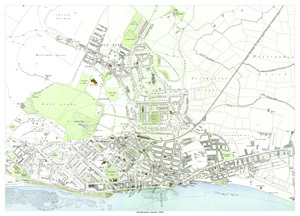 Showing the area from the Old Town New Cemetery in the north to the sea in the south, and from Meads in the west to Winchelsea Road in the east. 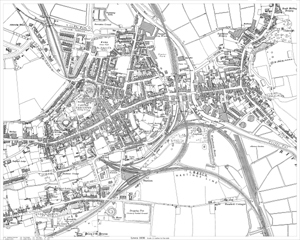 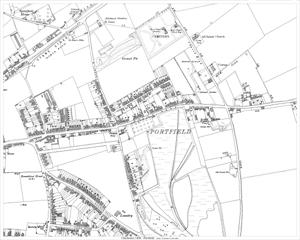 Showing the roads on each side of Firle Road in the north down to All Saints Church on Carlisle Road in the south, and from the post office on Upperton Road in the west to the sea in the east. 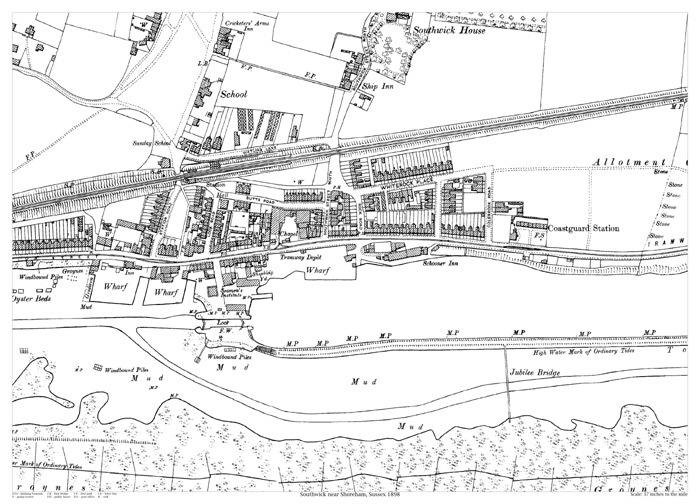 Showing the area from the railway line in the north, to the junction of Portland Road with Ship Street in the south, and from the Cemetery in the west to College Lane in the east. 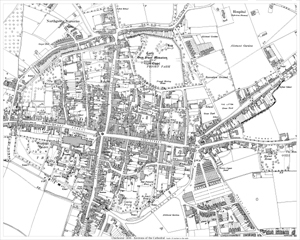 East Grinstead High Street is in the centre of the map. 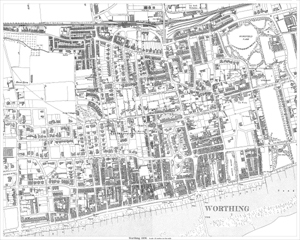 Showing the area from Hollington in the north to the sea in the south, and from St. Leonards Station in the west to Halton in the east. 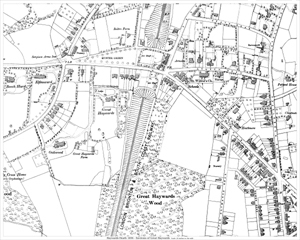 to the Gas Works in the north, and from Summerfield (a house) in the west to The Heath recreation ground in the east. 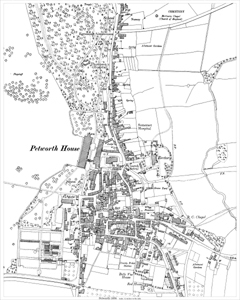 Showing the area from Great Haywards Wood in the south, to Heath Road in the north, and from Beech Hurst (a house) in the west to Petland House in the east. 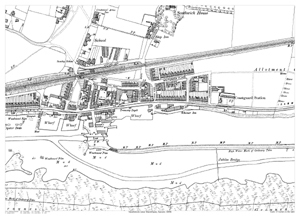 Showing the area from Kingston Wharf in the west, to beyond the school in the east. 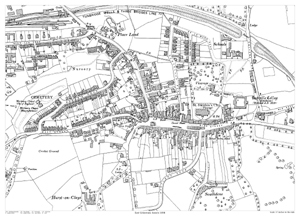 Showing the area from Priory of St. Pancras in the south, to the Swimming Baths in the north, and from the Grammar School in the west to South Malling Brewery in the east. 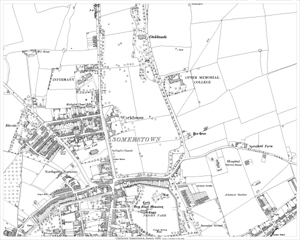 to Egremont Almshouses in the north, and from Petworth House in the west to Withey Copse in the east. 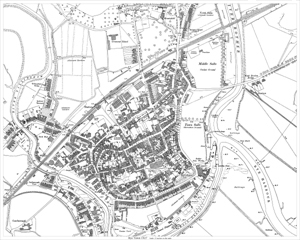 Showing the area from the Railway Station in the south, to the Poor Law Institution in the north, and from Rovindene in the west to the Tennis Grounds in the east. 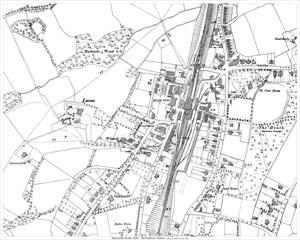 Showing the area from Rock Channel Shipyard in the south, to Queen Elizabeth's Well in the north, and from Gateborough in the west to the Railway Station in the east. 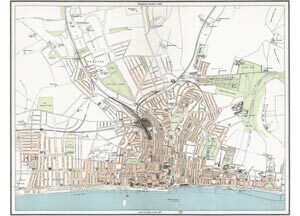 to the Coastguard Station in the east. 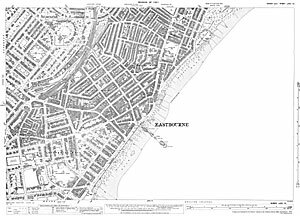 to the Corn Exchange in the north, and from the Corporation Baths in the west to Homefield in the east.